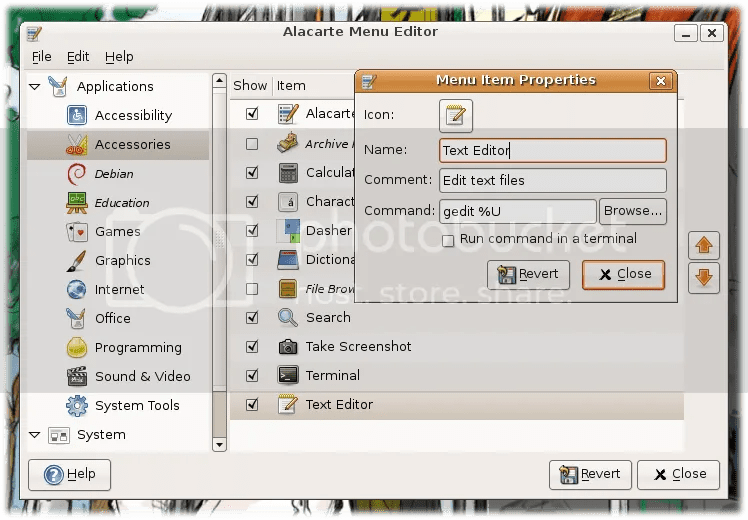 The Alacarte menu editor is one of the major additions in GNOME 2.16. Already previously available in Ubuntu and other distributions, Alacarte adds a degree of customization that has been generally lacking since GNOME dropped its previous menu editor more than five years ago during the early 2.x releases. Running Alacarte through its paces using the Ubuntu 6.10 alpha release, I found it a welcome addition to the GNOME desktop, but it is weakened by inconsistent positioning of new menu items and several behavioral flaws.